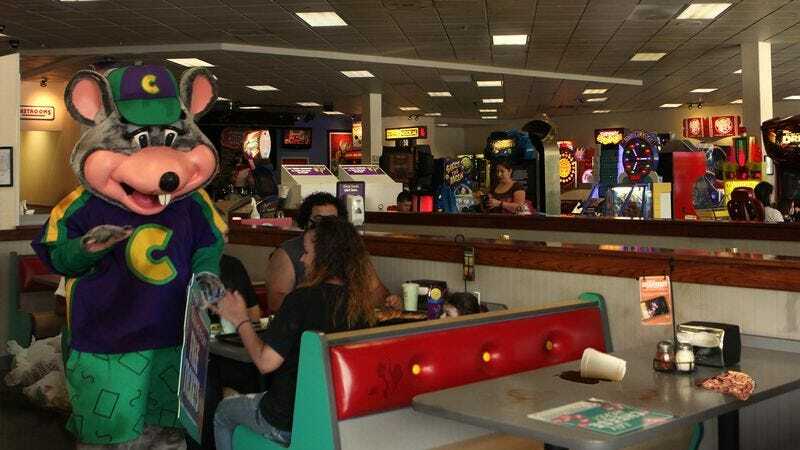 IRVING, TX—Promoting itself as “America’s best value in family-friendly fun,” pizza restaurant and entertainment center Chuck E. Cheese’s announced a steep drop in its prices Monday, explaining the cost would be offset by a chain-wide lowering of hygiene standards. “We’re reducing the price of our food and making the games cheaper, but the entire establishment, from floor to ceiling, is going to be much, much dirtier,” said CEO Michael Magusiak, who confirmed that due to reduced standards of cleanliness, parents will now be required to sign a waiver before their children can go down a slide, jump in the ball pit, or touch any of the games in the arcade. “So just to be clear, there’s a trade-off here: While you’ll be paying less, your experience will also be pretty disgusting. Basically, we’re giving our bathrooms one quick swab at the end of the day and passing the savings on to you.” Magusiak added that all Chuck E. Cheese locations would make a small bottle of hand sanitizer available to their customers in exchange for 4,000 Skee-Ball tickets.